Provide comfort for the family of Julia Gonzales with a meaningful gesture of sympathy. Julia Alvarez Gonzales of Waco passed in peace at the age of 90. Born March 16, 1928 in Mexia, Texas, she passed away Tuesday, February 5, 2019. She was preceded in death by her father, Luz Alvarez; mother, Dolores Alvarez; husband, Epifanio Gonzales, and two children, Josie and Frankie Gonzales of Taylor Texas. Julia is survived by nine children, Edward and Helen Gonzales of Seattle, Washington, Amelia Gonzales of Austin, Texas, Marie and Eloy Alderete of Taylor Texas, Raymond and Mildred Gonzales of Waco, Texas, Joe and Mary Gonzales of Waco, Texas, Heladio and Connie Gonzales of Dallas, Texas , Lewis Gonzales of Irving, Texas, Irene and Jesse Tovar of Grand Prairie Texas, Diana and Paul Torres of Waco, Texas; 33 grandchildren; and 44 great grandchildren. Visitation services will be at OakCrest Funeral Home, 4520 Bosque Blvd. on Friday, February 8 from 6 to 7 PM with the Rosary at 7 PM by Deacon Jesse Garza. Mass of Christian Burial will be Saturday, February 9 at 10 AM at St. Frances Catholic Church, 315 Jefferson Ave with burial to follow at Waco Memorial Park, 6623 S IH 35 Waco,Texas 76706. 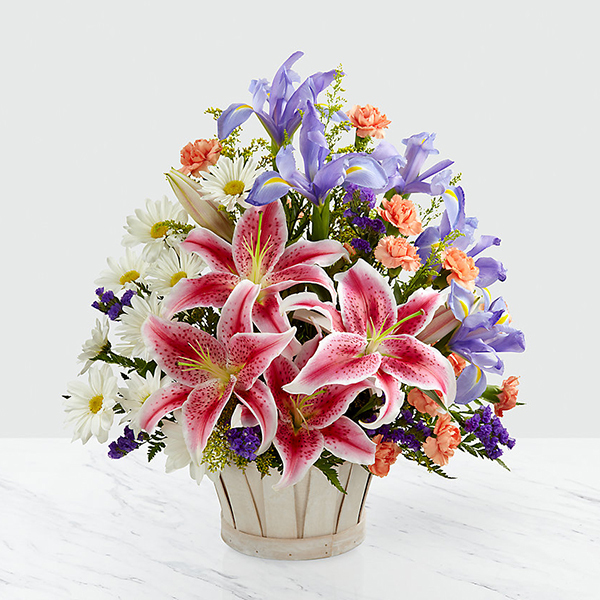 To send flowers in memory of Julia Gonzales, please visit our Heartfelt Sympathies Store. Ben and Kirsten Bholan, Misty Gipson, and others have sent flowers to the family of Julia Gonzales. Providence Hospice sends our condolences to all of her family. It was a pleasure to care for her. Our time with her was short but I know she was loved and had lots of support. Thank you for allowing us to care for her and you all during this difficult time. Please let us know if we can do anything for the family. My condolences to the Gonzalez family during this difficult time. In the Bible, Jehovah God gives us hope. Acts 24:15 says, “there is going to be a resurrection of both the righteous and the unrighteous.” Revelation 21:4 says, “and he will wipe out every tear from their eyes and death will be no more.” Very soon we will see the fulfillment of these promises here on Earth. We hope you find comfort in God’s promises. Ben and Kirsten Bholan purchased flowers for the family of Julia Gonzales.